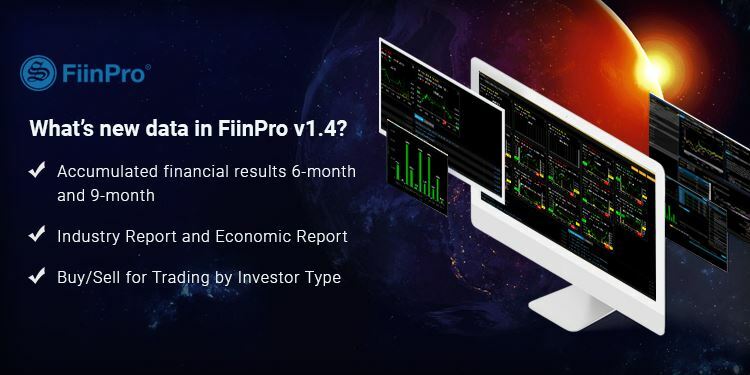 FiinPro® Platform shall be upgraded to v1.4 on June 13, 2018 with improvement on user interface and experience as well as new data added. StoxPlus, with our motto of “Innovative always” in financial information service industry (“Fiinform”), has been committed to providing customers with additional datasets, features, and tools on FiinPro® Platform under our development pipeline. What’s new in this FiinPro v1.4? Accumulated financial results 6M and 9M: after receiving many requests from customers to input accumulated figures of financial statement to better serve demand for data and analysis, those numbers are added into the following functions of FiinPro: (1) Company/Financial Statement + Peer Analysis; (2) Smart Screening; (3) Company Data Explorer (export Excel). Industry Report and Economic Report: Sector and Macroeconomics analysis is an important step before making investment decision. Sector reports are collected from various sources, including big securities firms, other independent research institutions and empirical industry research writings of local and foreign speakers, now put into FiinPro. Users can access via: (1) Industry > Sector Analysis; (2) Economic > Vietnam Overview. Buy/Sell for Trading by Investor Type: StoxPlus is the first data vendor providing this kind of data, detailed to each stock. 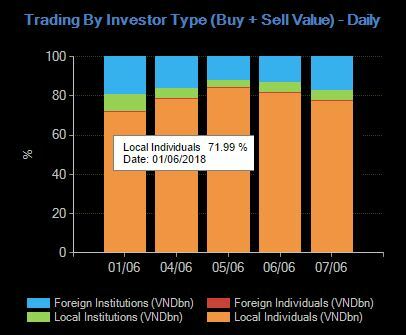 This helps to give views on how four types of investors (including local individuals, local institutions, foreign individuals, foreign institutions) are buying and selling and their contribution per trading session. Users can access via Market > Market Statistics > Trading by Investor Type. Display errors fixed in Industry tab: Steel, Aquaculture, Cement. Improvement on performance of Data Explorer tab: Company Data Explorer, Sector/Index Data Explorer, etc. News Exporting error fixed when not selecting any categories in My Daily Reports. Close and re-open your FiinPro Platform. “Check to update” window will appear. Click “OK”. “Skip” button is to ignore the upgrade if you do not want. However, we strongly recommend you upgrade FiinPro to use it in the most effective way. We will update the whole system on June 12, 2018, starting from 20:00 to 04:00 June 13, 2018 Vietnam time (GMT+7), so please be informed that users cannot use FiinPro Platform during this time. We are sorry for any inconvenience it may cause and would like to welcome you come back and upgrade FiinPro after the time slot above.